Billionaire investor Warren Buffett is leaving the board of the Washington Post Co. after spending decades as a close adviser to the publisher's management. 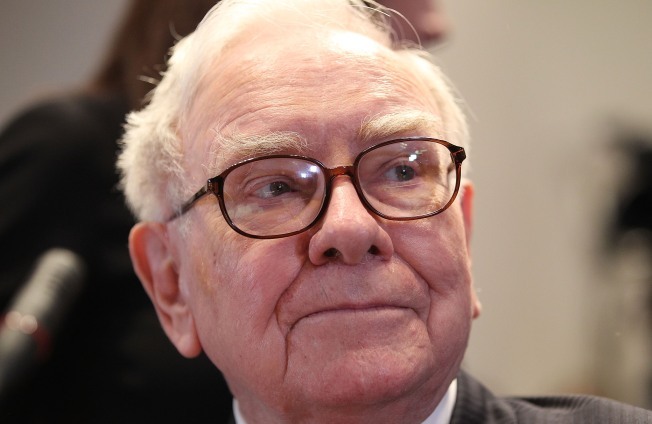 Buffett, whose company Berkshire Hathaway Inc. owns 1.7 million Washington Post shares, first joined the Post's board in 1974, and except for one eight-year break he has remained on the board since then. In a statement Thursday, Buffett said he will continue to offer any help to the company that management asks. But he will step down from his formal role in May, when his current term as director expires. He leaves as the Post Co. is going through a wrenching transition. Industry-wide declines in advertising revenue have forced cutbacks at its flagship daily newspaper. And its Kaplan education business has drawn scrutiny along with other for-profit colleges from lawmakers who worry that graduates aren't being properly equipped to compete in the job market. Buffett, 80, didn't give a specific reason for leaving the company's board now and didn't immediately respond to a message seeking comment. But he has had a long association with the Post's management. He bought Berkshire's stake in the Post Co. in 1973 for $10.6 million after the newspaper's stock took a beating following the publication of its famed Watergate stories. The investment made Berkshire the largest Post shareholder outside of the Graham family, and Berkshire continues to hold the stake. The Grahams keep a controlling stake in the company through a separate class of shares. Buffett became close friends with former Washington Post publisher Katherine Graham and served as an important adviser to her on business matters. He served as an usher at her funeral in 2003. Buffett left the Post's board in 1986 after Berkshire helped finance Capital Cities' purchase of ABC. FCC rules kept him from serving at the same time on the boards of Capital Cities and the Post, which both owned television stations at the time. Buffett later rejoined the Post board after he left the Capital Cities board. Capital Cities/ABC was acquired by Walt Disney Co. When he was younger, Buffett lived in the Washington area and delivered copies of the Post while his father served in Congress. He often says that if he hadn't become an investor, he might have been an investigative reporter. His company also owns the Buffalo News among its roughly 80 other subsidiaries. The Omaha, Neb., company's operations include clothing, insurance, utility, furniture, jewelry and corporate jet firms. It also has major investments in such companies as Coca-Cola Co. and Wells Fargo & Co.